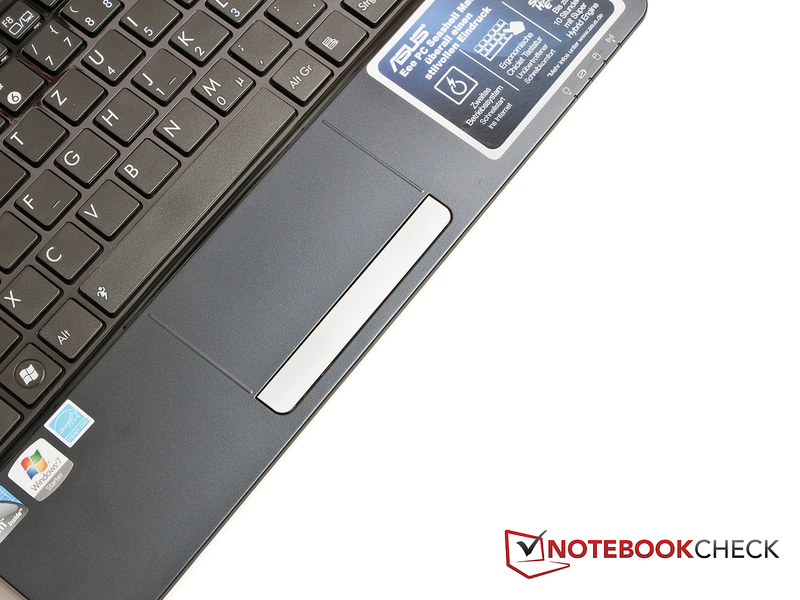 Another 1015 Series device finds its way into our test laboratory in the form of the Asus Eee PC 1015PX. Asus has given the Eee PC 1015 another hardware update. In doing so they use the Intel Atom N570 dual-core processor (2x 1.66 GHz) that is now deployed in the PC 1015PX. In addition there are Intel GMA 3150 graphics and 1GB of DDR3 RAM. Asus claims a performance increase of 32 percent and a battery life of 10 hours. 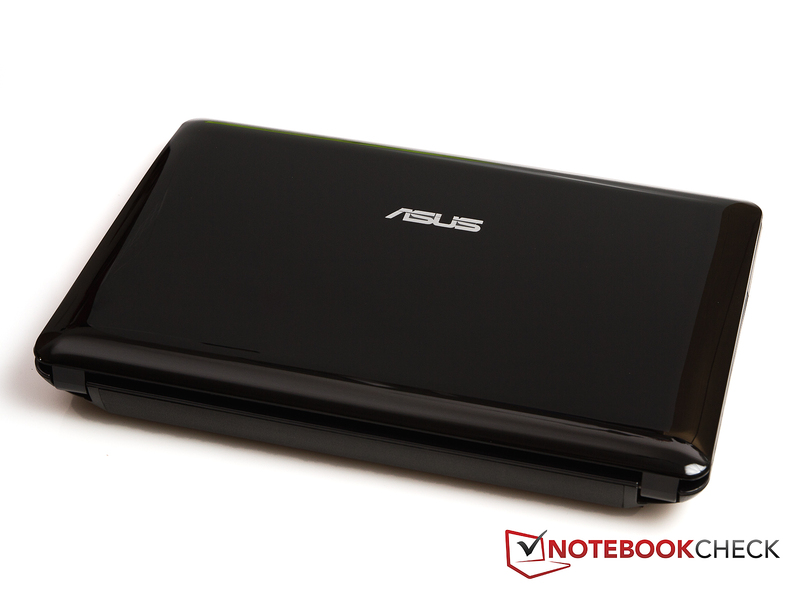 Here in our lab is the Asus Eee PC 1015PX with the glossy black case. Alongside white, red and blue colours there is also the option for systems with matte surfaces. 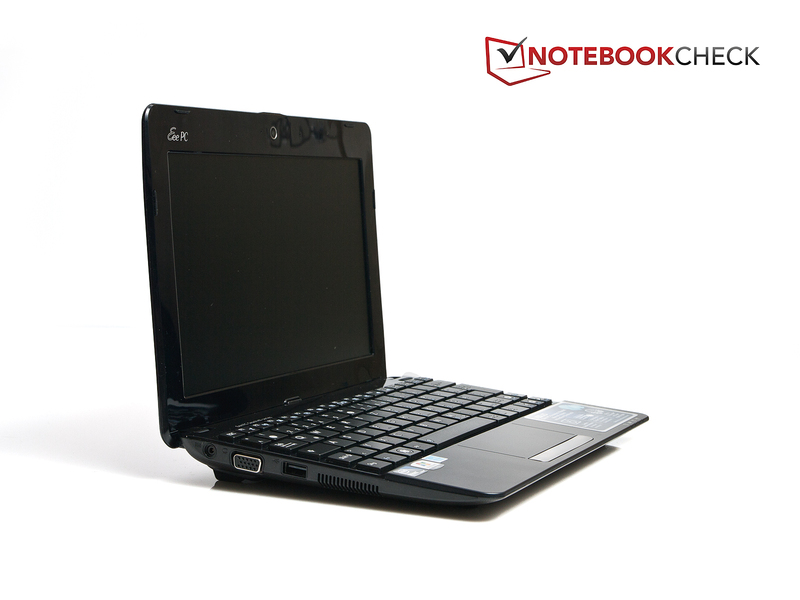 In our test report we knowingly didn't write another description of the case and the input devices, as we have already extensively covered them in our other previous reviews of the Eee PC 1015. 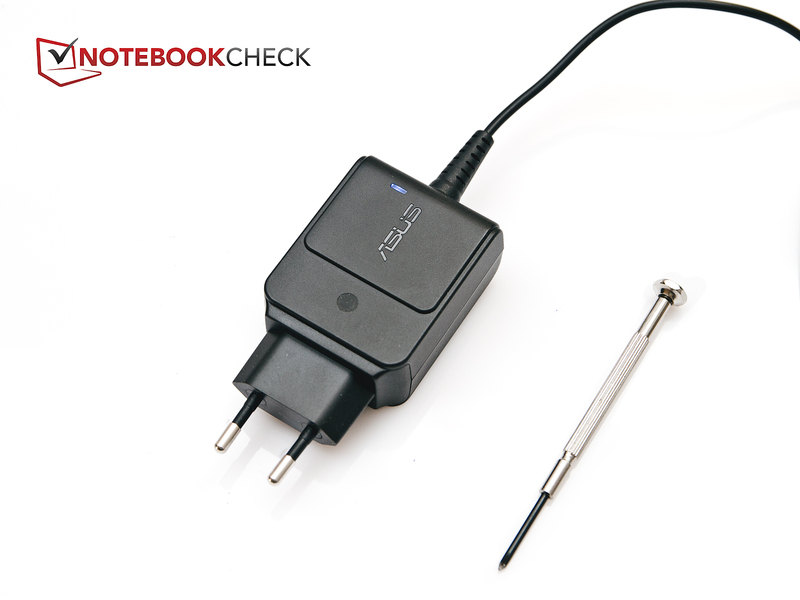 If you want to get clued up on the case and input devices, you can take a look at the test reports of the ASUS Eee PC 1015B, 1015PN, 1015T, 1015PEM, or 1015P. Strangely enough the 1015PX is a spitting image of the already-reviewed R051PX netbook from Asus. What Asus is trying to achieve with this naming is unclear at first glance. A possible answer only appeared in the price comparison: the R051PX is currently listed starting at 259 Euro (glossy black), whilst the structurally- and internally-identical variant 1015PX is for sale in Germany from 278 Euro. 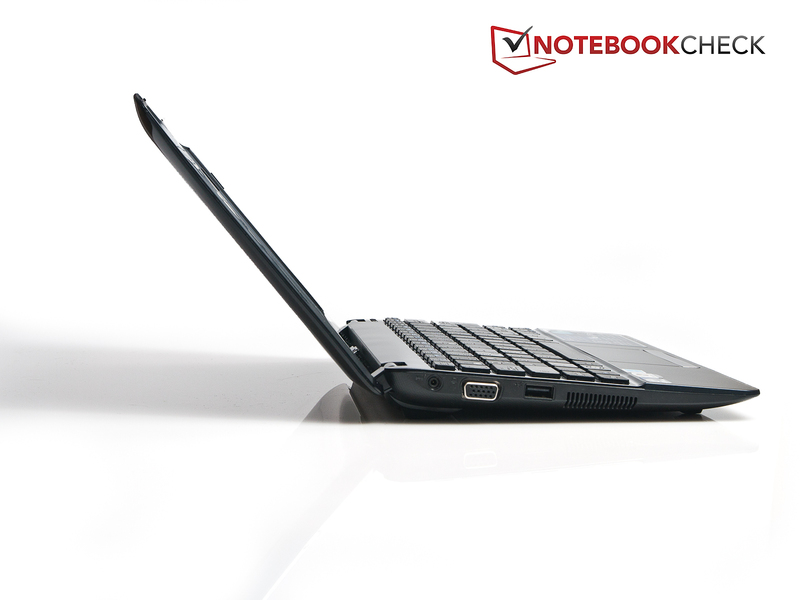 As for connectivity, the Asus Eee PC 1015PX doesn't offer anything beyond measure. Whilst some of the previously-tested Eee PC 1015 models already have a USB 3.0 and an HDMI output, these interfaces are nowhere to be seen on the 1015PX. The three USB 2.0 connections allow the user to connect external devices to the netbook, whilst a VGA output allows output of analogue video signals. The arrangement of interfaces is mostly unproblematic, but this is only because you can't connect many devices to the netbook in the first place. Only the two USB connections of the right-hand side could cause problems. They are positioned extremely close together and bigger USB devices could obstruct the second connection. When it comes to communications with the outside world the Asus Eee PC 1015PX offers the obligatory RJ45 (LAN) connection, which is supplied by an Atheros AR8152 PCI-E card. As for wireless connections there's another chip from Atheros, namely the AR9285 Wireless Network Adapter. This complies with the WLAN standards 802.11 b/g/n. Neither Bluetooth nor a UMTS modem is present in the netbook. The 0.3 megapixel webcam doesn't come with the privacy cover that we found, for example, in the Eee PC 1015B. The delivery contents aren't particularly extensive, as is normally expected with netbooks. Alongside the netbook, the battery and the power supply there's a little information booklet in the box. There are no installation DVDs, which would also be completely useless, since the netbook has no optical drive. 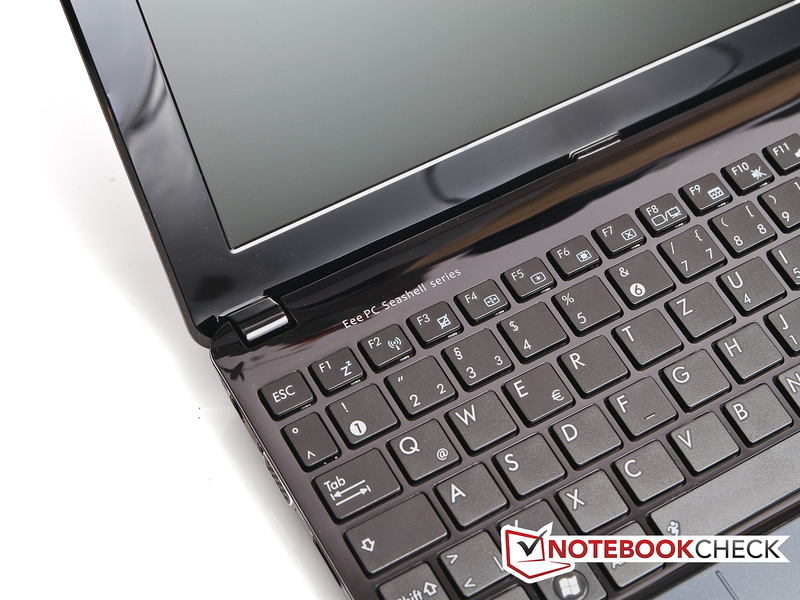 A limited part of the hardware can be accessed via a small hatch on the rear of the netbook. When opening the hatch you also have to remove a protective cover from the screw. This cover is so stiff that you'll need a small screwdriver to remove it. In doing so you should be careful not to scratch the rear of the netbook. After removing the screw you reach the RAM module, which can be removed problem-free. 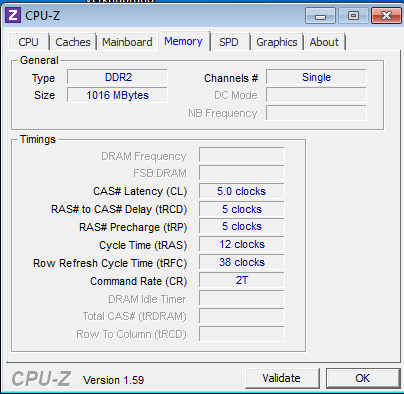 You can optionally use a RAM module of up to 2GB. There are no other bays, which means you're prohibited from accessing the hard disk, for example. 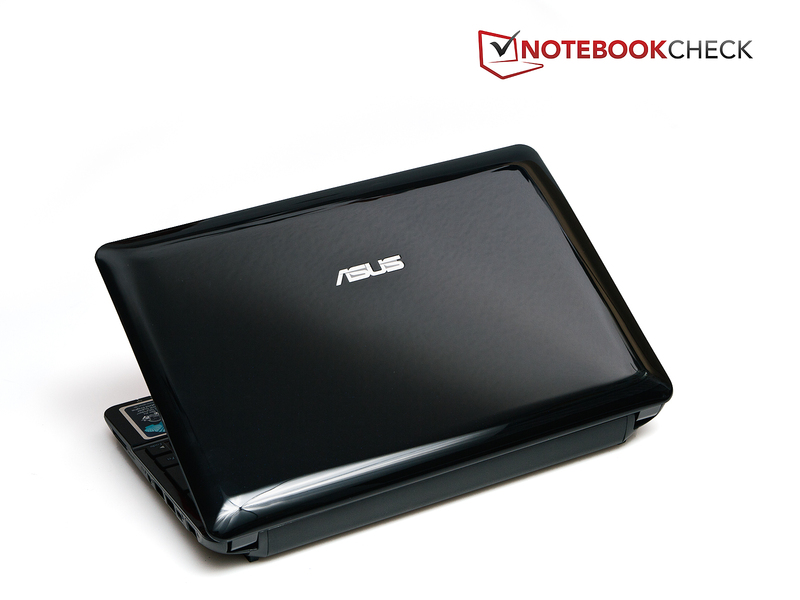 The Asus Eee PC is supplied with a 2-year pick pick-up and return service. Sending the device in for works is undertaken by Asus and the device can be taken to a DHL branch for free. An Asus support page processes the returns. On the whole it's a good offer, as the battery has a warranty of only 12 months. Like other models in the series, the Asus Eee PC 1015PX is equipped with a 10.1-inch WSVGA display. The native resolution of the display is 1024x600 pixels. A higher resolution can be reached either through the VGA output paired with an external display, or via the integrated Intel GMA 3150 graphics. This has the capability to use the interpolated resolution of 1024x768 pixels. This is not necessarily advisable as the image becomes stretched and less clear. Again it's great that the display is matte and not glossy. 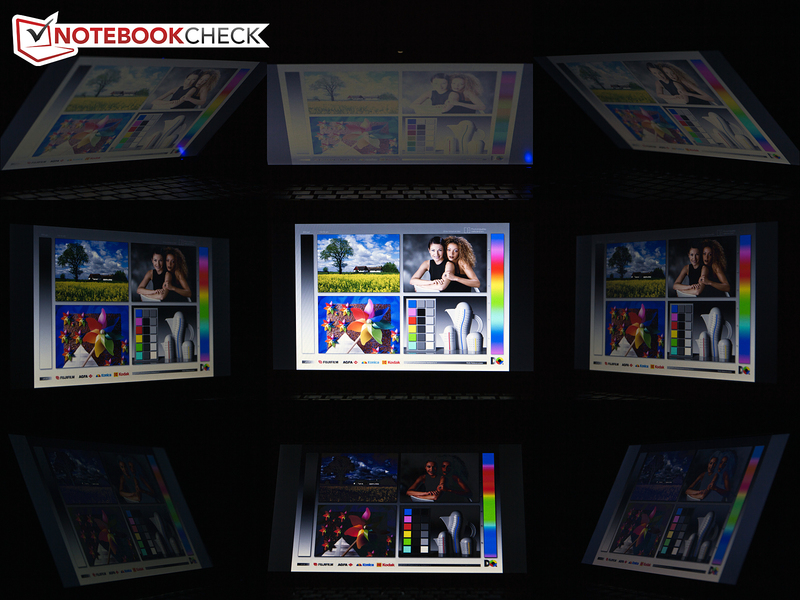 The results of the brightness tests are extremely convincing for the display of the Eee PC 1015PX. With an average brightness of 234.9 cd/m² it provides respectable brightness values. The brightness data spread between 214 cd/m² and 254 cd/m² in the centre of the display. The illumination of the display isn't mind-blowing at 83 percent, yet it's okay. Fortunately the brightness isn't automatically reduced when running on battery power. However, the high black level of the display isn't so great. It's extremely high at 2.02 cd/m². A black level under the 1.01 cd/m² mark is ideal. This means that dark areas in films or games look more grey than black. Whilst this might already be apparent at black levels over 1.0 cd/m², at 2.0 cd/m² it's really noticeable. In addition the contrast really suffers from such high black levels. The contrast ratio on the Eee PC 1015PX is poor at 126:1. 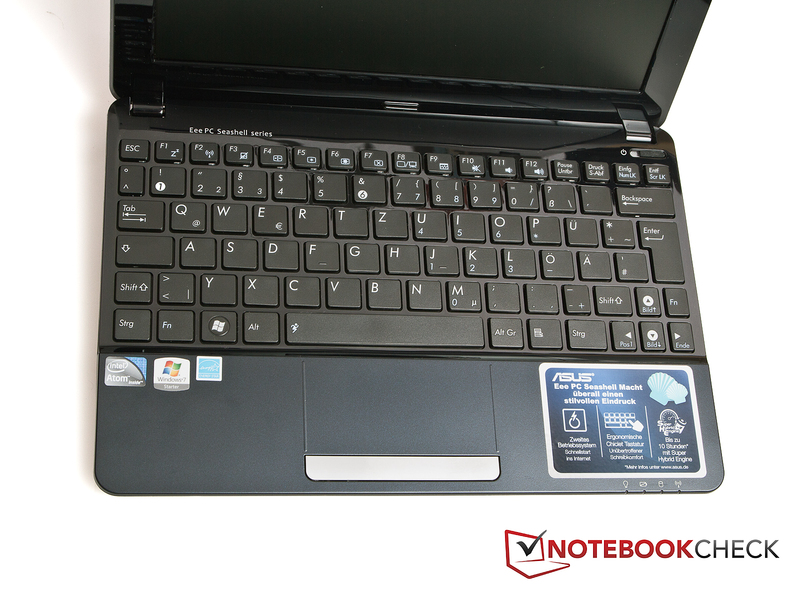 It can be seen here that the 1015PX and R051PX netbooks are extremely similar. The variances in data for both devices could probably be down to production tolerance. 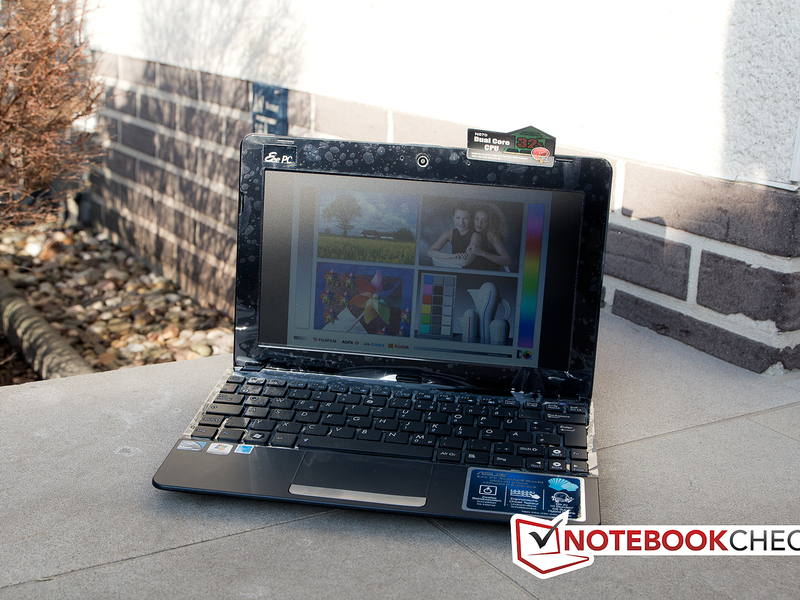 Asus has luckily splashed out on a matte display in the Eee PC 1015PX, which means the netbook gets on well outdoors. Along with the okay display brightness, you can work extremely well out in the open thanks to the display. However, the extremely glossy plastic areas of the display have a negative effect. Whilst the display barely reflects the sun of other light sources, it can quickly come about that you're dazzled by reflections on the display edges. The viewing angle stability of the display isn't outstanding. So long as the display isn't strongly slanted horizontally you can look at the display at a somewhat large angle problem-free. However if the display is slanted upwards or downwards, the image quickly deteriorates. 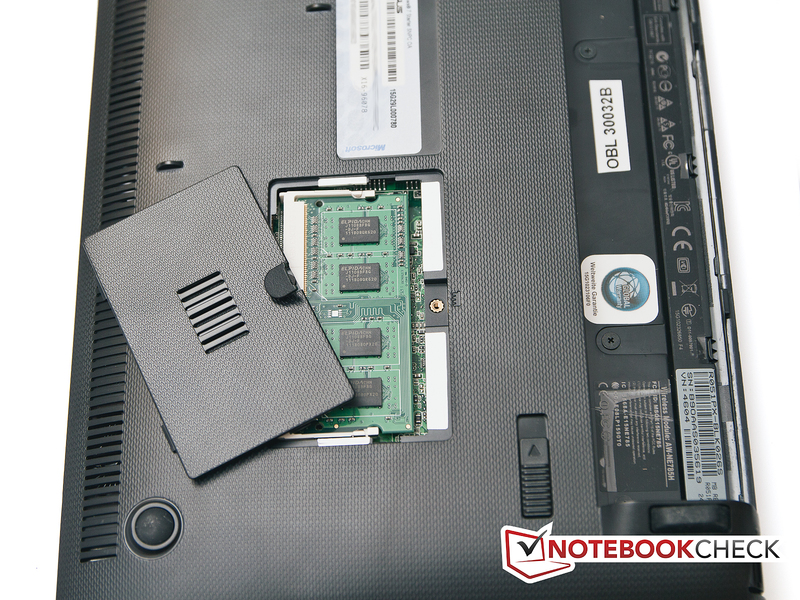 In our test sample there's an Intel Atom N570 with 1GB of DDR3 RAM and a 320 GB hard disk. Currently (as of February 2012) this seems to be the only available configuration; at any rate we couldn't find any other configurations amongst the large online retailers. 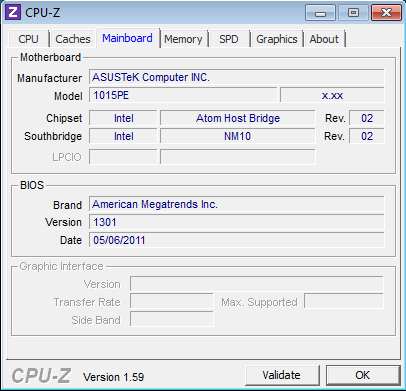 The Intel Atom N570 processor is present in the Asus Eee PC 1015PX. Therefore we're talking about a dual-core processor with a clock speed of 1.66 GHz. The processor even has hyper-threading and despite its two physical cores it can execute up to four threads simultaneously. Intel Atom processors stand out for their low price and their power-saving capabilities, as the TDP of the Intel Atom processor is no more than 8.5 Watt. 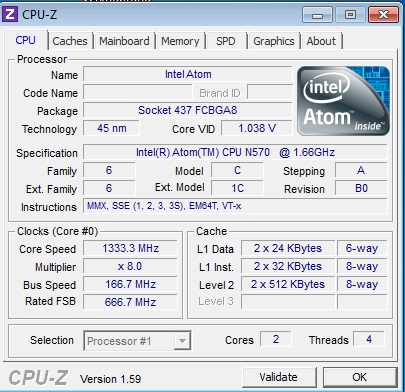 As a comparison, a current Intel Core dual-core processor has a TDP of 35 Watt. Thereby Intel Atom processors are preferably utilised in small mobile devices like netbooks or tablets in order to avoid complex cooling solutions and to allow long battery life. 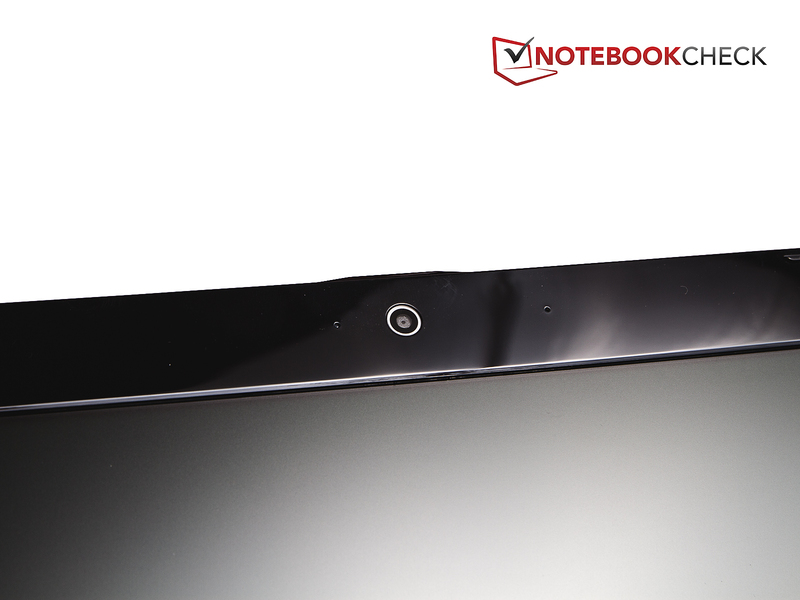 There's further information about the Intel Atom N570 on our information page. We use CineBench Version R10 to asses the performance of the Intel Atom N570. 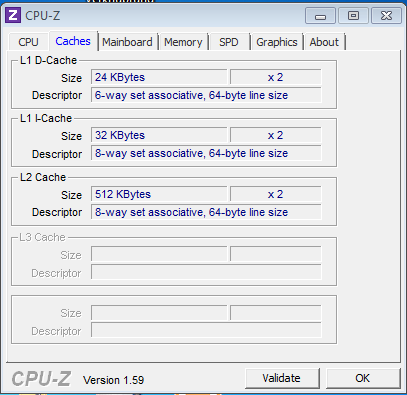 Generally we use the 64-bit version for the comparisons, yet as the 32-bit version of Windows 7 Starter is installed on the netbook, we're limited to the 32-bit version of CineBench. In the Cinebench R10 Rend. Single (32Bit) benchmark the Eee PC 1015PX reaches 589.0 points. Hence the 1015PX is really high up in the 1015 family. In comparison the Eee PC 1015PEM (N550, GMA 3150) reaches 532.0 points and the Eee PC 1015B (C-50, Radeon HD 6250) 695.0 points. In the Cinebench R10 Rend. Multi (32Bit) benchmark the netbook turns out even better (1654 points). Here the Eee PC 1015PEM (N550, GMA 3150) with 1504.0 points and the Eee PC 1015B (C-50, Radeon HD 6250) with 1322.0 points are far behind the Eee PC 1015PX. Asus' advertising slogan that you find on the small sticker on the netbooks in electronics shops is correct. Asus advertises a performance increase of up to 32 percent. For comparison an admittedly older Atom N455 processor was used, nevertheless the N570 processor scores well. Compared with the already-reviewed R051 netbook there are no big differences in the results. The 571.0 points in the Single benchmark and the 1641.0 points in the Multi benchmark of the R051PX are very similar to the results of the 1015PX. Both PC Mark Vantage and PC Mark 07 assess the system performance. 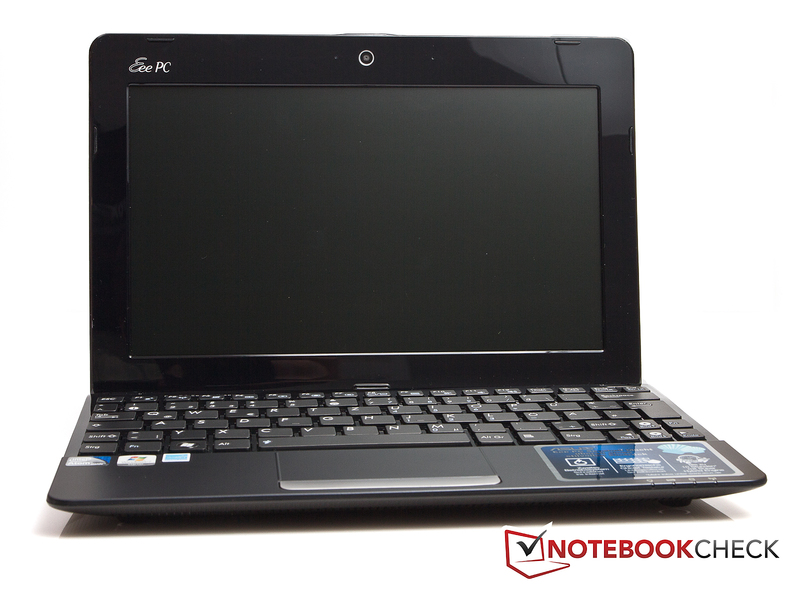 On PCM Vantage the overall XGA benchmark of the Eee PC 1015PX is, at 1604.0 points, in between other Eee 1015 models. As an example we refer to the Eee PC 1015B (C-50, Radeon HD 6250) with 1345.0 points, and the Eee PC 1015PN (N550, ION 2) with 1823.0 points. As for the PC Mark 07 benchmark it's the same story. The Eee PC 1015PX reaches a figure of 591.0 points, whilst the Eee PC 1015B (C-50, Radeon HD 6250) obtains a score of 767.0 points. When it comes to the system performance of the 1015PX and the R051PX, it's once again shown that both netbooks perform very similarly. Whilst the 1015PX attains 1604.0 points on the PC Mark Vantage benchmark, the R051PX reaches 1742.0 points. In our test sample the Asus Eee PC 1015PX comes with a hard disk by Hitachi, the same kind that was tested in the Eee R051PX. The Hitachi HTS543232A7A384 hard disk is a 2.5-inch model and has a speed of 5.400 rpm. It has a (gross) capacity of 320 GB, which is quite a lot for a netbook. 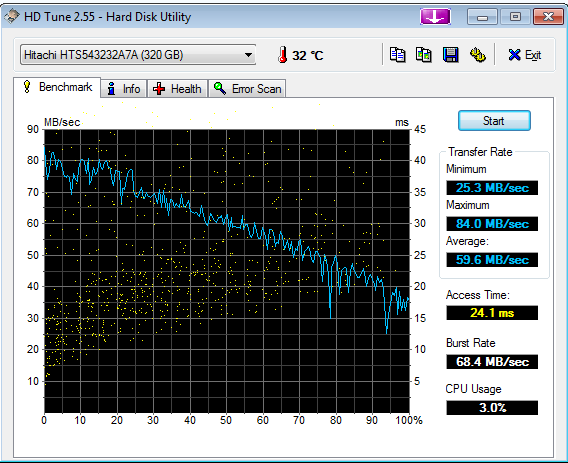 250 GB hard disks are more commonly present in netbooks. The performance data of the hard disk are not phenomenal, yet for the netbook level it ranks high in the mid-table. In the Intel Atom N570 processor there's an Intel Graphics Media Accelerator 3150 integrated graphics card (in the following text referred to as GMA 3150). The graphics are based on the old GMA X3100 core and because of this it only supports DirectX 9. In contrast to the GMA X3100 core, the GMA 3150 is admittedly clearly limited in its performance and doesn't reach the heights of the GMA X3100 core. Therefore, games can't really be played with this graphics card, unless you play old and relatively unambitious titles. Through a lack of hardware coding, HD videos cannot be played smoothly, either. In our 3D Mark 06 benchmark the Intel GMA 3150 graphics don't turn out so well, as expected. With a score of 164.0 points, the graphics aren't suited for gaming. 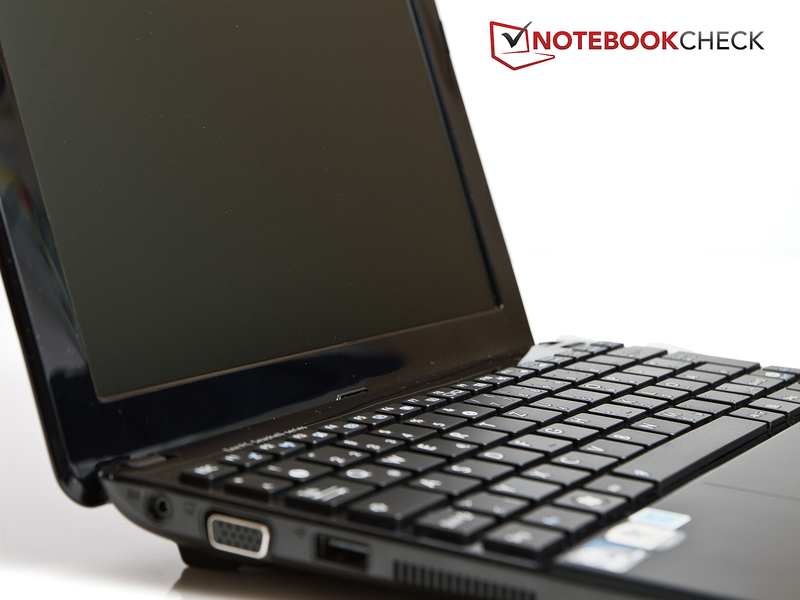 Compared with other netbooks that use Intel GMA 3150 graphics, the Eee PC 1015PX is once again mid-table. Behind the Asus Eee PC 1015PX there is, for example, the Samsung NF210-HZ1 netbook (N550, GMA 3150) with 107.0 points or the Asus Eee PC 1015PEM netbook (N550, GMA 3150) with 147.0 points. The HD videos test reveals that the graphics card isn't capable of playing such media smoothly. Full-HD (1080p) videos are completely out of the picture, whilst 720p videos can, at times, play back slightly smoothly. Back to the comparison between the 1015PX and the R051PX and, again, it's the same story. Both netbooks even have the same score with 719.0 points. 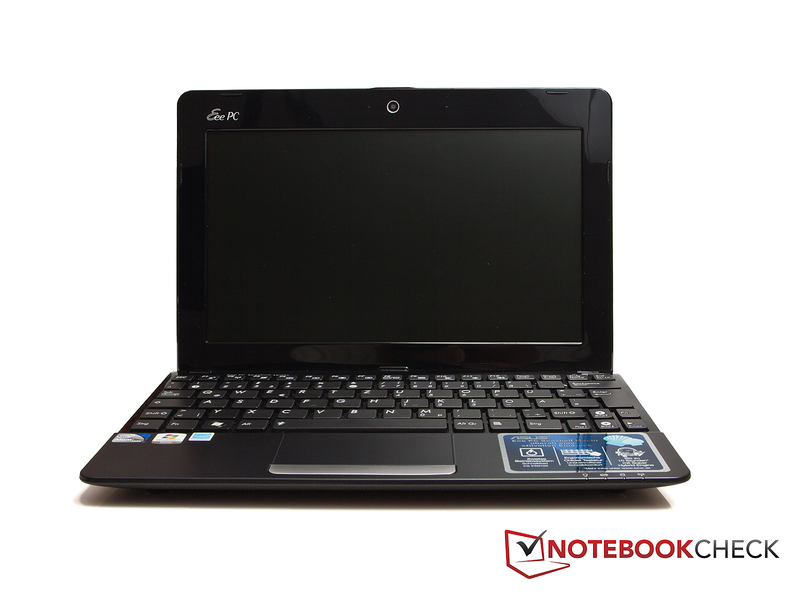 Most of the time the Asus Eee PC 1015PX is quiet and unobtrusive. 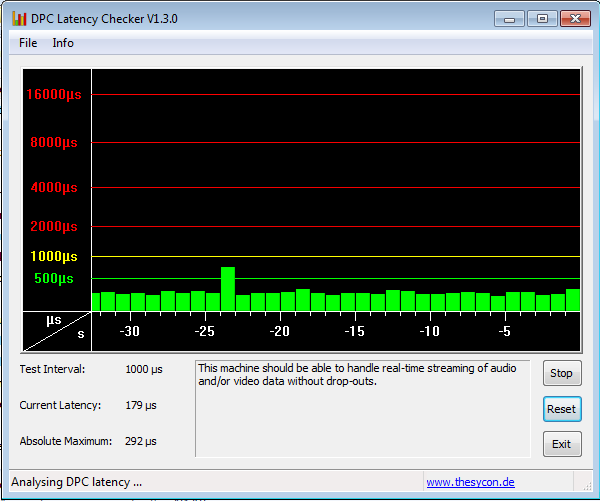 When the netbook is idle the noise level is between 32.2 dB(A) – 32.4 dB(A). Fortunately the cooling system is usually off. The only thing that you hear is the noise of the hard disk. Furthermore in our test sample it was the case that the hard disk clicked at irregular intervals. When the netbook is under load and the cooling system is turned on or challenged, the noise level reaches 34.1 dB(A) – 35.0 dB(A). As for system noise both of the 1015PX and R051PX netbooks are almost identical again. There are no noteworthy differences. As for temperature the 1015PX is, on the whole, somewhat cooler than the R051PX. The maximum temperatures don't climb quite so vigorously as on the R051PX netbook. Overall both devices remain on a very low level, however. (+) The average temperature for the upper side under maximal load is 22 °C / 72 F, compared to the average of 29.8 °C / 86 F for the devices in the class Netbook. (+) In idle usage, the average temperature for the upper side is 19.6 °C / 67 F, compared to the device average of 29.8 °C / 86 F.
(+) The palmrests and touchpad are cooler than skin temperature with a maximum of 20.3 °C / 68.5 F and are therefore cool to the touch. (+) The average temperature of the palmrest area of similar devices was 29.3 °C / 84.7 F (+9 °C / 16.2 F). The netbook has two stereo speakers whose position you can work out in the first few seconds of the song. It's extremely apparent on the Eee PC 1015PX that sound only comes out of the front left sides under the netbook. The sound quality isn't convincing. On the data sheets "High Definition Audio" is listed, yet by way of comparison even some current smartphones perform better. The sound turns out to be tinny and low notes aren't present. If you plan on listening to music for an extended period of time, you should definitely reach for a pair of headphones. The energy consumption is kept in check, as you would expect from Intel Atom processors. At 6.5 Watt – 9.2 Watt when idle, consumption is even lower than that of the Eee PC 1015PEM at 7.6 Watt – 11.6 Watt. Under load the energy consumption rises to 13.2 Watt – 14.7 Watt, which likewise is lower than on the 1015PEM. 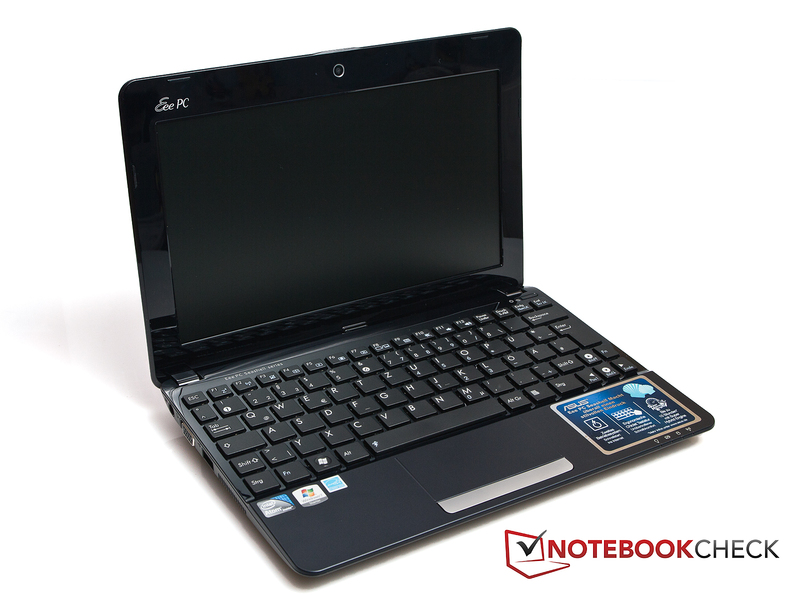 For this reason it's clear that the Eee PC 1015PEM only has an Intel Atom N550 processor. The energy consumption of the 1015PX is somewhat lower than the R051PX netbook. The recorded differences are, however, negligible. The program Battery Eater came back into play for measuring battery life. We used the Reader's-Test profile for measuring the netbook when idle. Here the netbook reaches a battery life of 9 hours and 31 minutes, which means the netbook lies just under Asus' quoted 10 hours of maximum battery life. If you surf the internet via WLAN (second brightness level at 153 cd/m²), you reach 7 hours and 49 minutes of battery life. This result should be much closer to the actual maximum battery life, as very few people would use their netbook without WLAN and on the lowest brightness setting. At full load the battery life is still 4 hours and 13 minutes. To fully charge the netbook the 30 Watt power supply takes 3 hours and 26 minutes. Despite better consumption values, the 1015PX interestingly has lower battery life when compared with the R051PX netbook. It transpires that the R051PX was equipped with a 56 Wh battery, whilst our 1015PX sample only had a 47 Wh battery. 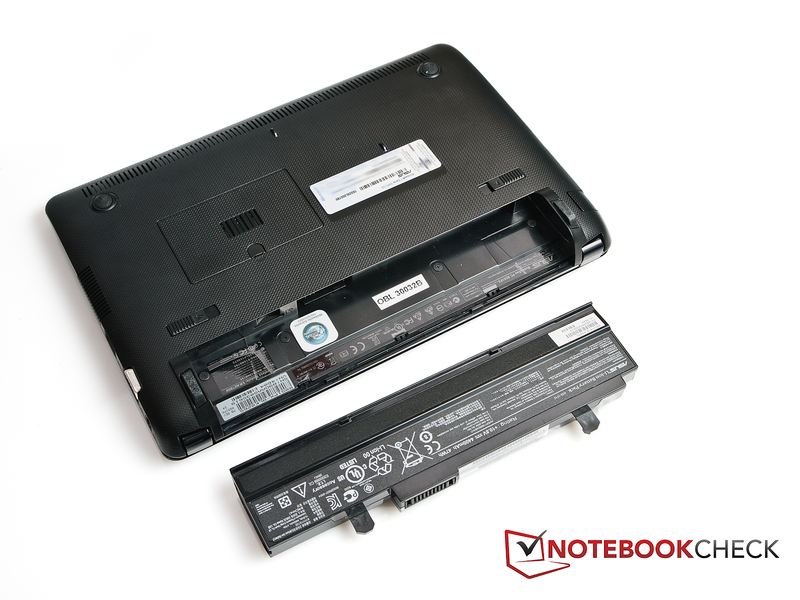 Watch out when you buy the netbook: current offers list the R051PX exclusively with the smaller battery. The Asus Eee PC 1015PX builds on old strengths and dabbles in innovations that don't necessarily turn out as well as we would have hoped. 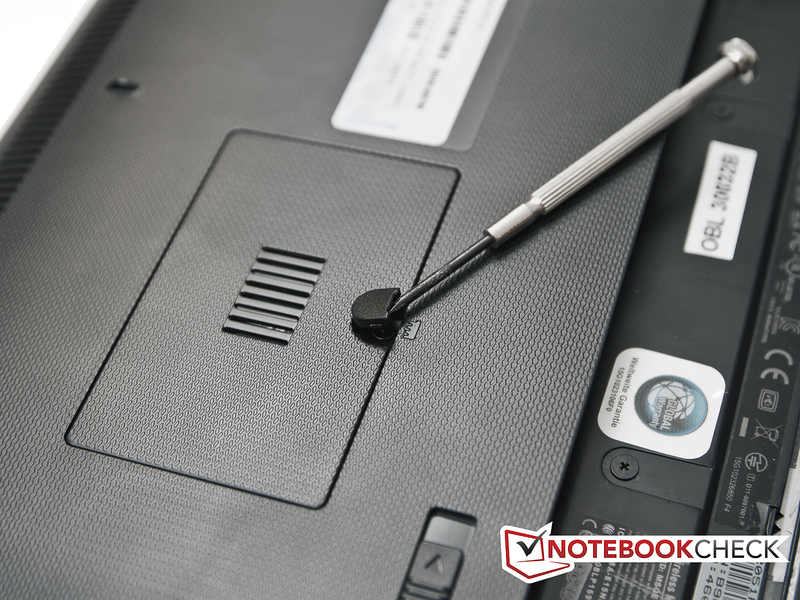 We already know the ins and outs of the case of the netbook very well, and here you get the high level of quality that we have come to expect from Asus netbooks. The same holds true for the keyboard and touchpad. Connectivity isn't quite up-to-date; we would have liked to have seen a USB 3.0 connection on the Eee PC 1015PX. 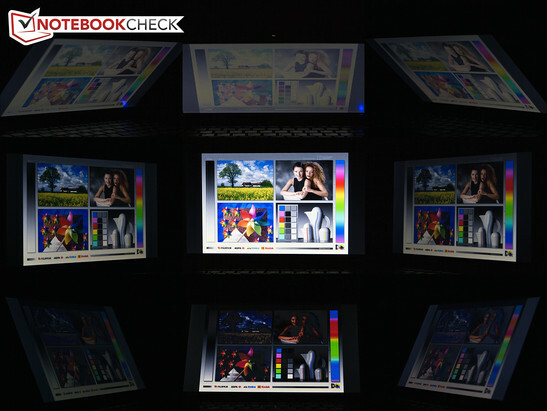 As for the display, Asus hasn't really done anything wrong, yet we've seen better results on other Asus netbooks. The limited netbook resolution of 1024x600 pixels still poses a disadvantage for surfing the web in comparison to HD panels. The netbook shines, however, in its battery life. Despite a few downsides you can't really go wrong with the Asus Eee PC 1015PX, as long as you're looking for a long-lasting mobile companion and you're aware of the limited performance of a netbook. If you're planning on playing HD videos, you'll have to look elsewhere. Both the 1015PX and the R051PX are identical in close to all respects, or at least they're extremely similar. The 1015PX is slightly more economical and remains cooler than the R051PX. Both netbooks are priced only slightly differently. Depending on where you compare it, both models are scarcely or respectively up to 20 Euro apart. The power supply is very small and light. Via the hatch you get access to the RAM module. The hatch is closed by a screw, which has a stubborn covering. On the underside there's just one hatch. There's a 0.3 Megapixel webcam. ... the touchpad are likewise well known. Alongside the smart look, the long battery life of the netbook is fantastic. A USB 3.0 connection would have suited the Eee PC 1015PX well. 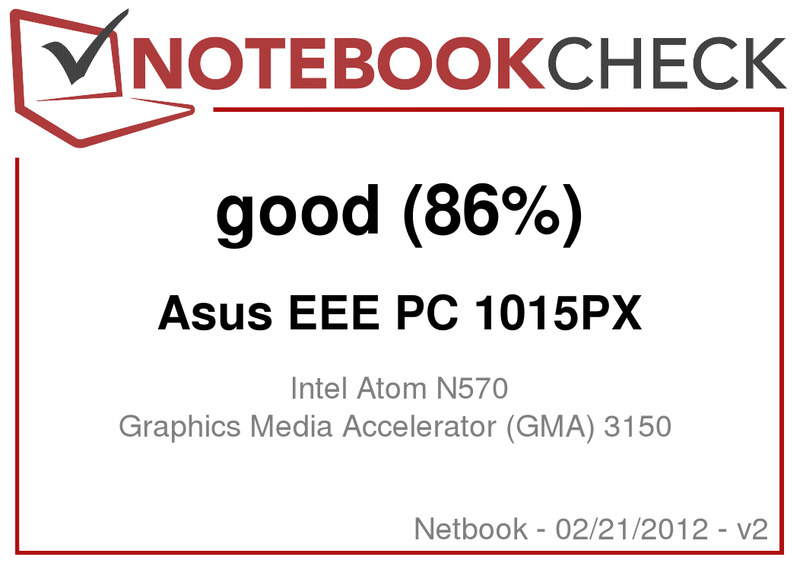 That the Intel Atom N570 was overtaken by the N550 in so many benchmarks. For one thing, competition comes from the same manufacturer, namely the Asus EeePC 1015PEM, which doesn't have the N570, yet manages to be an almost identical device to the 1015PEM. 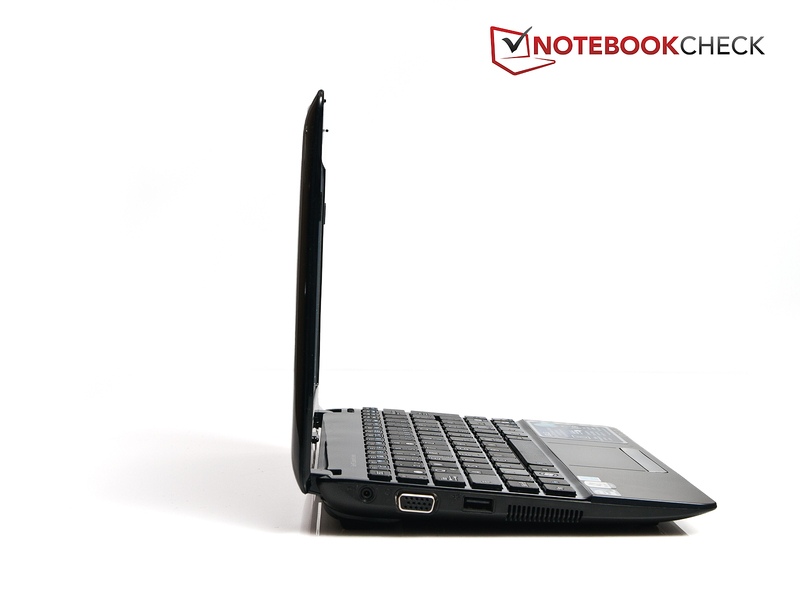 Alternatives with Intel Atom N570 are the Acer Aspire one Happy 2 or the Packard Bell dot S-E3.